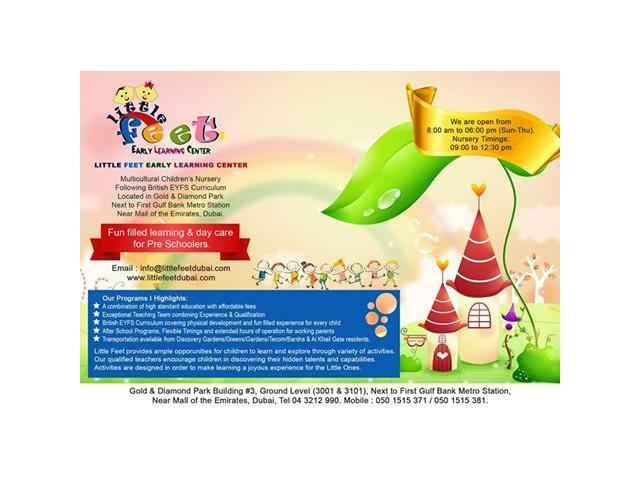 » LITTLE FEET Early Learning Centre - Nursery Near Barsha - 050 1515 371. Bank Metro Station, Near Mall of the Emirates, Dubai. Fun filled learning &amp; Day Care for Pre Schoolers. South/ Dubai Sports City / JVC / IMPZ / Remraam.